Services for a 5-star stay at the campsite in South Brittany! 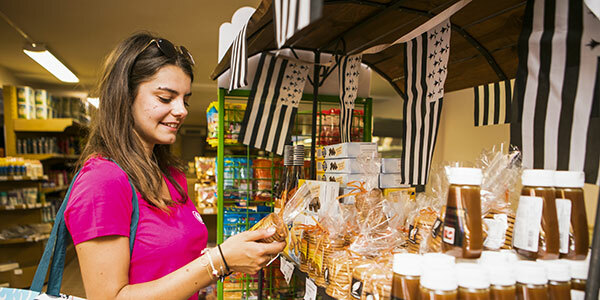 As soon as Sunêlia L’Escale Saint Gilles campsite opens, take full advantage of our grocery shop “La Boutik”. Whether you need to fill the fridge for the whole family or simply buy a last-minute product, don’t hesitate to visit Alain and his team, they will be happy to welcome you! Every morning we bake bread and pastries on site. Come and enjoy a good French baguette, a “pain au chocolat” or a hot croissant. Just the perfect way to start your day! Without having to leave the campsite, you will be able to find all the food and cleaning essentials for a smooth stay. At Sunêlia L’Escale Saint Gilles we are truly attached to working with our local companies, which is why you can find fresh products every day. Whether you want some local or national news, or even a good book to browse by the pool in our aquatic complex, look no further! You will find everything you need at “La Boutik”. Do you want to bring back a little something from Brittany and more particularly from the Sunêlia L’Escale Saint Gilles in Bénodet? In “La Boutik”, you’re in the right place! A swimsuit, a hat, a sarong, some souvenirs… Anything you might want? We have it! In your Sunêlia L’Escale Saint Gilles campsite in South Brittany you can hire bikes on site. Simply pay a visit to Denis and his team at Funny Park (open from 10am to 6pm every day in July and August) and go for a ride to discover Bénodet and its surroundings! If camping means warm and friendly evenings over a good flame barbecue, look no further! Our team waits for you in the Funny Park where you will find some charcoal barbecues for hire. We are pretty sure grilled meats will be on the menu! 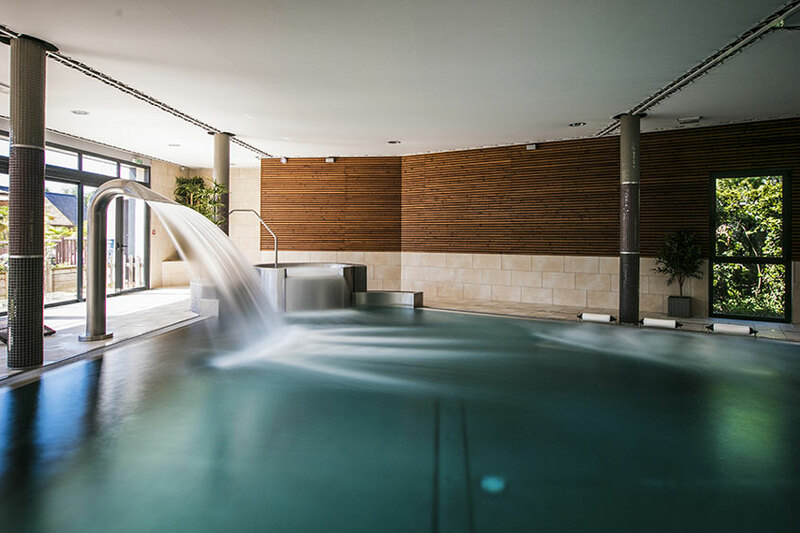 To ensure that your holidays at our 5-star campsite in Bénodet are only dedicated to your favourite leisure activities, we have compiled a list of 5-star “à la carte” services with which you can personalise your stay. 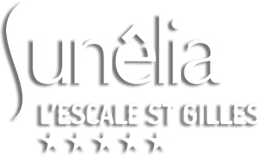 At Sunêlia L’Escale Saint Gilles, you can wash your clothes in complete peace of mind. 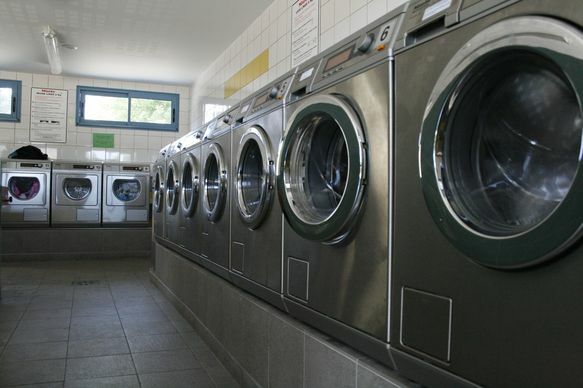 Sheltered and located near the sanitary blocks, our laundry is composed of about ten washing machines and dryers operating with coins. The detergent is supplied and is automatically injected during the washing cycle. In the meantime, you can start a good book found at “La Boutik”, or supervise your children by the pool on one of our comfortable benches. An ironing board is available in the laundry room (you will have to go to the reception of the campsite to get an iron – deposit required.